You’d be hard pressed to find someone who isn’t aware of exactly what Dubai has to offer. Man-made islands, restaurants that turn on a sixpence and the world’s tallest tower are all marketed by the city’s unstoppable PR machine. Everyone’s heard of it; everyone wants to go. Despite the precarity of its location it is the luxury holiday destination. So let us take a moment to tell you just why this city is one that can’t be missed. This little fishing town has a come a long way in the last decade or two. Some of the best engineers and architects of the world flock here to make their mark. 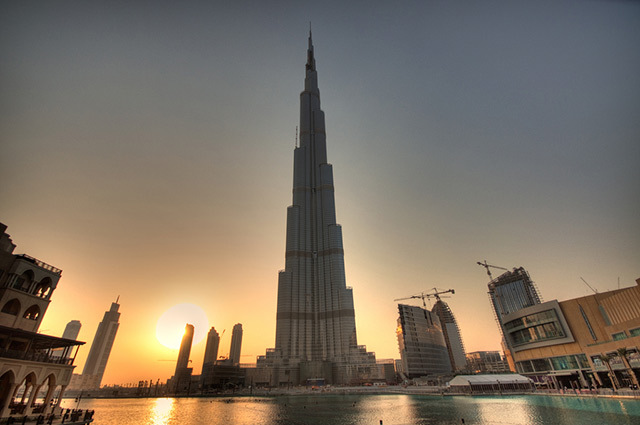 And there is no other city on the planet which offers them the scope to let loose their imaginations quite like Dubai. Obviously, you must see the Palm Islands from a helicopter or even better spend a night in luxury there. Obviously, no visit to Dubai is complete without a trip to Burj Dubai. Obviously, you must spend a day skiing in the world’s largest indoor ski slope. But what about the sights that are a little less obvious? Licensing laws here mean restaurants outside of hotels are prohibited from serving alcohol. On the bright side you’re guaranteed to remember every incredible moment of a night spent in this fair city. Dubai is packed full of the super rich and very poor, it makes for an eclectic combination of chic eats and cheap eats. Sample some of the expensive wonders on offer in the gilded Hilton and Grosvenor. The next day, wander over to Al Dhiyafah Road (the cheap street) for an experience of a completely different nature. 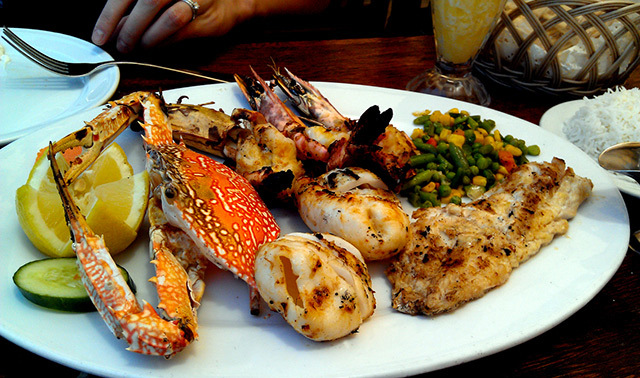 Whether you are sampling the cuisine from Nobel House or Jambos grill, Dubai is very much about being ‘in the know’. Don’t be afraid to order off menu – it is rumoured this is how the ultra trendy aperitif Le Petit Minstrel, now served in London, was developed. Of course, Dubai is an amazing city to visit now, but looking into the future it only gets better. So the arrival date of the hotly anticipated Hydropolis continues to elude even the marketing team, but when it’s done? The world’s first underwater hotel promises to be quite something. With over two hundred guest pods and bubble glass ceilings to view the wildlife, this spectacle is likely to give new meaning to the term ‘room with a view’. Much like the famous Palm Islands, Dubai is in the process of crafting the World Islands. A man-made archipelago shaped like, you guessed it, the planet. Here you’ll be able to stay on a miniature version of your country, or visit somewhere entirely new. Dubai wouldn’t be Dubai unless the attractions in the pipeline were the best, biggest or first in the world. Disney might have nailed the theme park genre, but Dubai is re-inventing it. 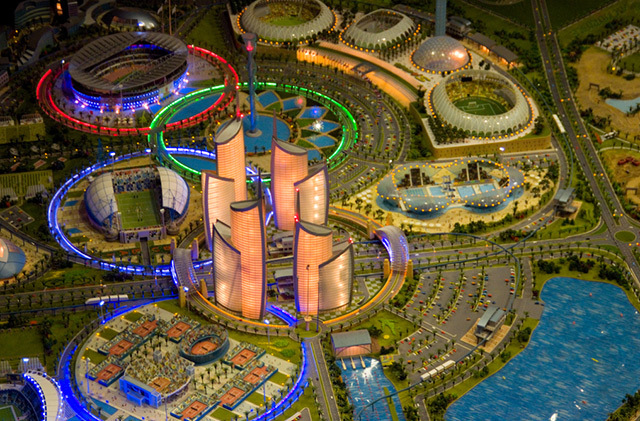 Dubailand will be the biggest amusement park in the world. It will feature six separate parks specialise in everything from outdoor sports to ecotourism. That’s a must-see with a spin only Dubai could deliver.